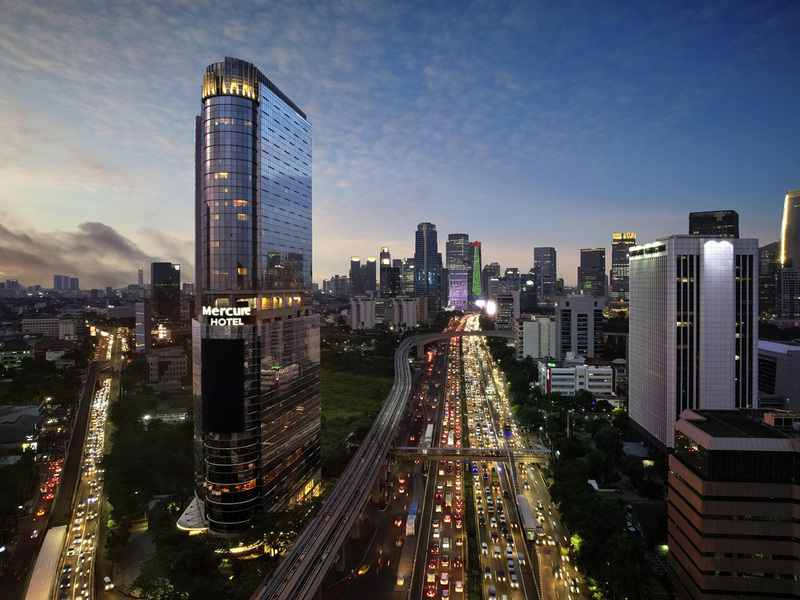 Mercure Jakarta Gatot Subroto is conveniently located at the Golden Triangle in Jakarta, near the major business, financial, diplomatic establishments and just 35 minutes from Soekarno Hatta International Airport. Surrounding avenues include Thamrin Avenue Sudirman Boulevard, Rasuna Said Avenue and Gatot Subroto Avenue. It features 253 rooms, meeting rooms, an All Day Dining restaurant, bar, swimming pool, gym, spa and lounge. Conveniently located in Jakarta's Central Business District, the hotel is ideal for business meetings and a place to explore from or chill out. The hotel is a short drive from Soekarno Hatta International Airport. Enjoy easy access to Pancoran, Kuningan, Rasuna Said, and Semanggi. Take the first exit towards Kuningan from the Inner Ring road. The hotel is 10 min by foot from Dirgantara Monument in Pancoran. Dine in style at our restaurant with amazing views of Jakarta. Mercure Jakarta Gatot Subroto features 253 comfortable rooms and suites that are designed for the modern business and leisure traveler. Enjoy the diversity of cuisines from around the world. The restaurant offers an extensive array of Indonesia and international dishes at the buffet and in our a la carte menu. Discover a place where a melting pot of cultures blend seamlessly. Funky bar features its signature menus and serves light food as well as classic cocktails.